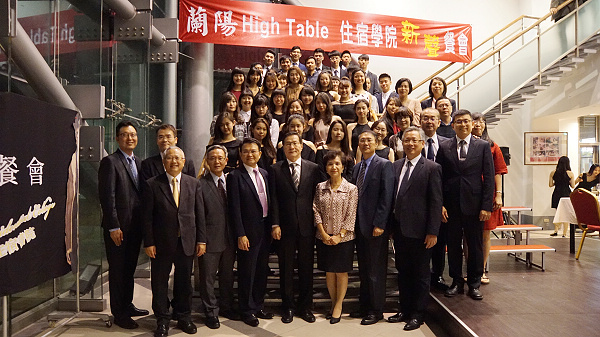 The Lanyang Campus is a residential college that focuses on liberal arts education. 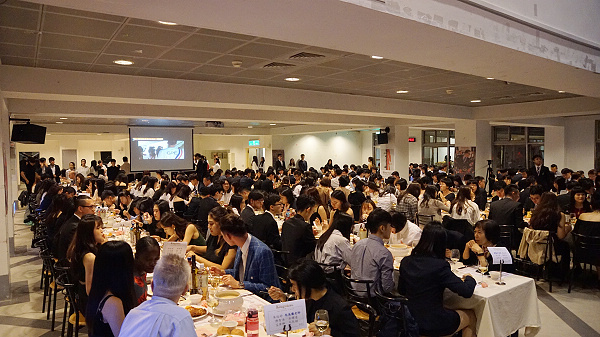 In order to help students have a global mindset, every year the High Table Dinner, also known as the Freshman Orientation, is held for students and teachers to have a taste of what it's like to participate in a formal social event abroad. 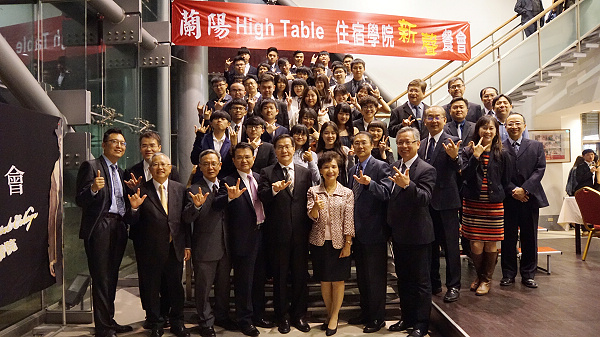 The High Table Dinner also highlights the educational objectives of the Lanyang Campus, which focus on hands-on experience, participative learning, as well as developing the proper mindset. 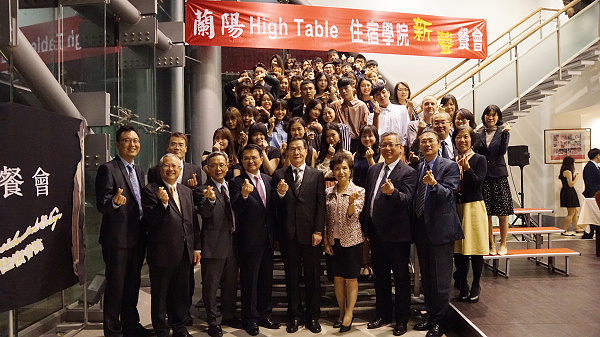 The High Table Dinner this year took place at 18:30 on October 30th at the student cafeteria on the first floor of Clement Chang Building. At 18:00, freshmen students started coming in at the cafeteria. 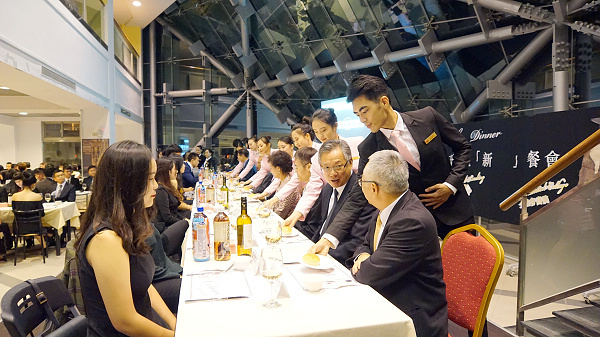 When all seated, students listened attentively as the teacher from the Department of Global Politics and Economics Mr. Zhou Zhi-wei reminded the students of the table manners, such as politely notifying others at the same table that you have to leave temporarily. 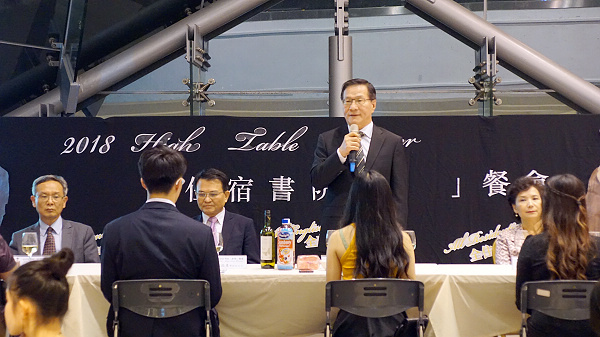 Later, in the midst of grand music and the heart-felt round of applause, the President of the school, Mr. Ge Huanzhao, kick-started the High Table Dinner. Other high-ranking officials, such as the Vice Presidents Mr. 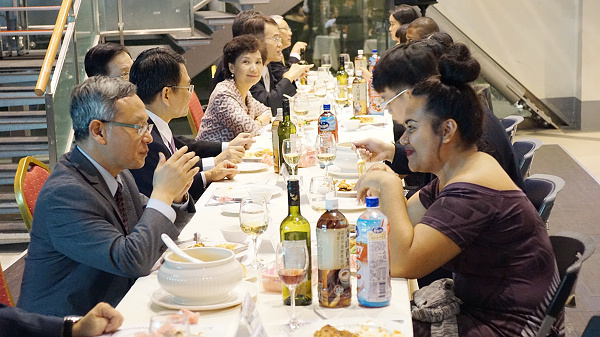 He Qidong, Mr. Zhuang Xifeng, and Mr. Wang Gaocheng, as well as the Secretary-General Ms. Liu Aihua, the Director of Academic Affairs Mr. Lin Junhong, the Director of General Affairs Mr. Luo Xiaoxian, and the Director of Military Education Mr. Zhang Baicheng also joined and had dinner with all the students. 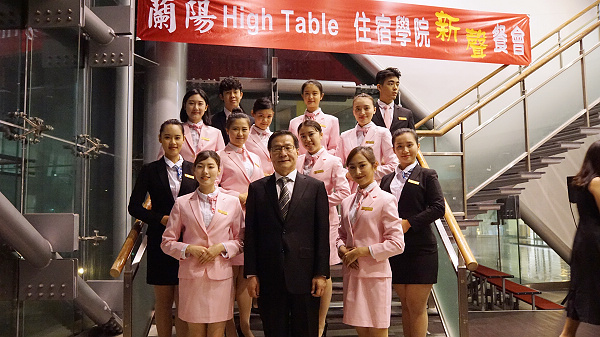 The High Table Dinner was held all in English. 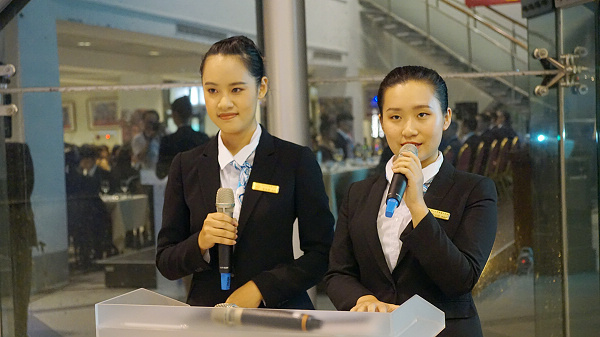 The emcees were one junior student from the Department of International Tourism Management and one junior student from the Department of Global Politics and Economics. 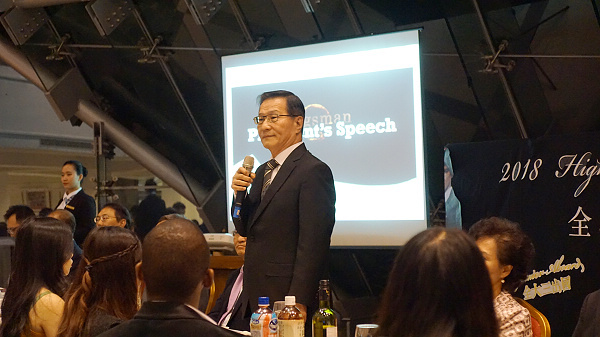 They started the event by introducing the honorable guests and teachers present at the event and invited the President to give the opening address. 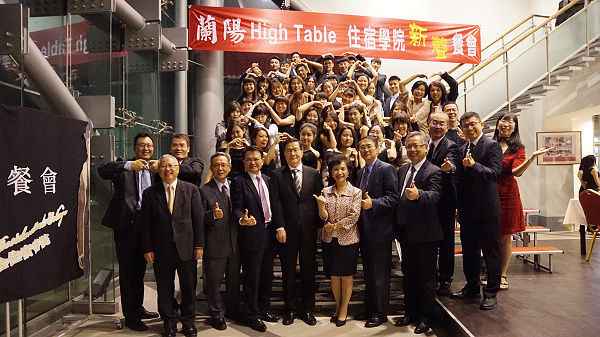 The president welcomed all of the freshman students to be part of the Tamkang family and believed that the Lanyang Campus, which features "three-alls" education, would be the best choice for all of the students as the school aims to help students become high-quality professionals and world citizens that are internationally competitive. At the end of the opening address, the President wished all the freshman students a colorful and smooth college life. 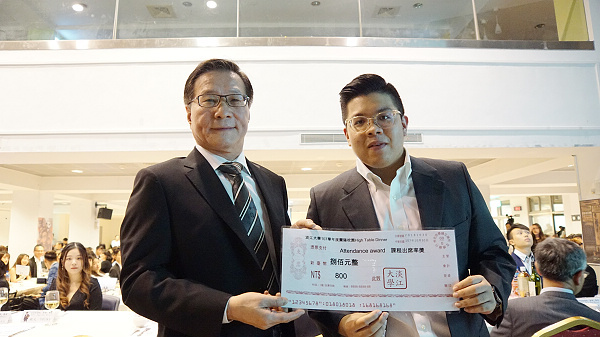 Following the opening address, the President awarded the prizes for the freshman competitions. The first prize is the Best Conduct on "Lanyang Day," which is every Monday of the week. 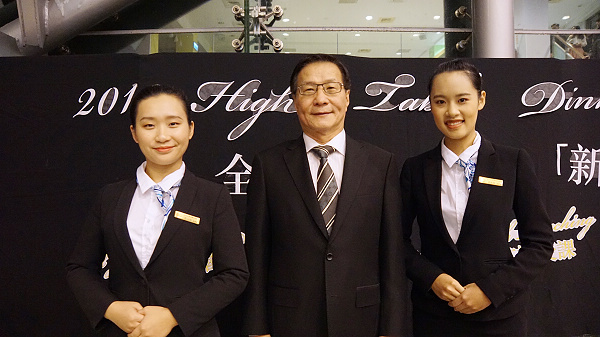 On Lanyang Day, students are encouraged to be attired in formal suits to build a professional image and boost confidence. The day is set in response to the trends in the job market and is also an important part of the liberal arts education at the Lanyang Campus. The prize went to the Department of Innovative Information and Technology, Division of Software Engineering based on the ratings given by all the teachers since the first day of school. The second prize was the Best Attendance, whose purpose is to encourage students to take active roles in their learning. 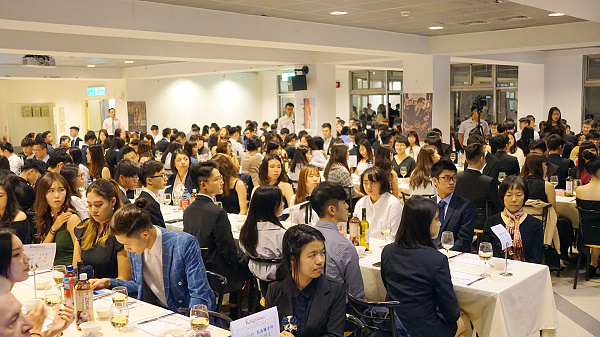 The prize also went to the Department of Innovative Information and Technology, Division of Software Engineering since the attendance rate was the highest among all departments at the Lanyang Campus. 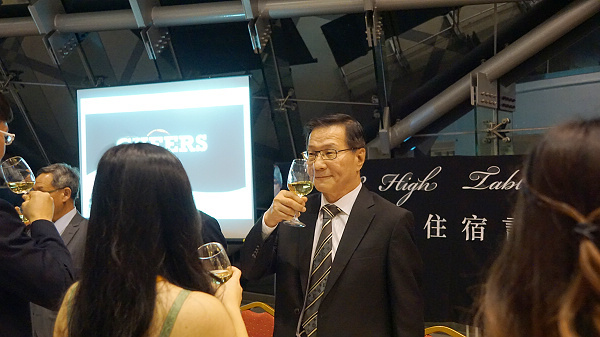 Afterward, the emcees invited everyone to stand up and make a toast to each other. The dinner was then officially started. 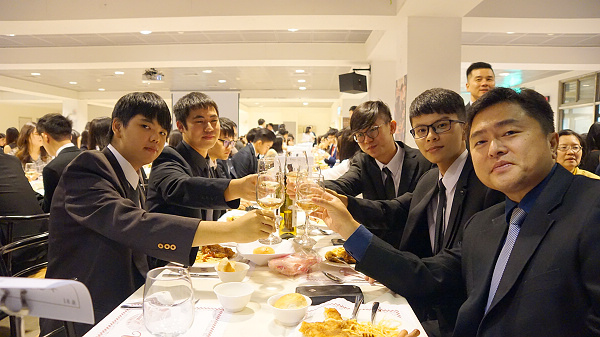 All the freshman students and teachers had dinner together with wonderful music playing in the background. 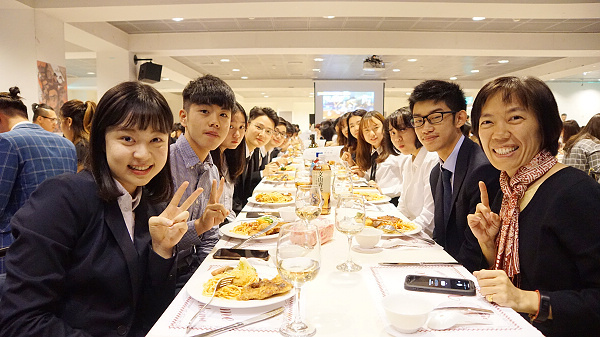 The course started with buns as the appetizer, red sauce spaghetti with fried chicken chops as the entree, in addition to various sides dishes, such as sausages, steamed sweet potatoes, broccoli, mushroom, and creamy corn soup. After the main course ended with gelatin dessert. 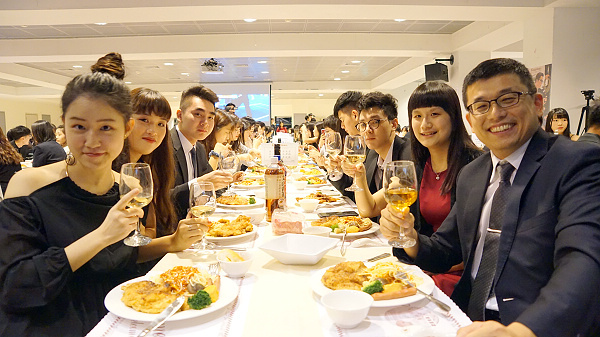 Everyone enjoyed the scrumptious meals as they drank the quality Spanish white-wine with goblets. The only fly in the ointment was that the foods were not served hot enough. 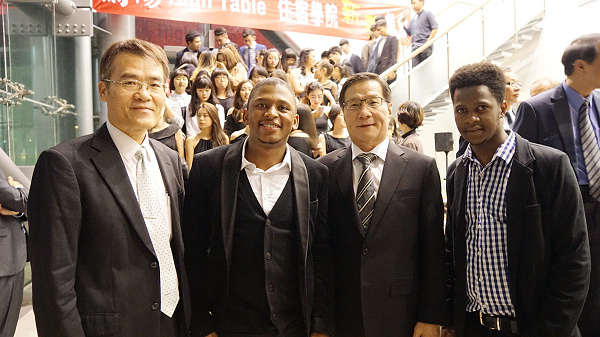 After the meal, all the students took photos with teachers and the honorable guests. Everyone had fun taking photos together or live broadcasting via Facebook. 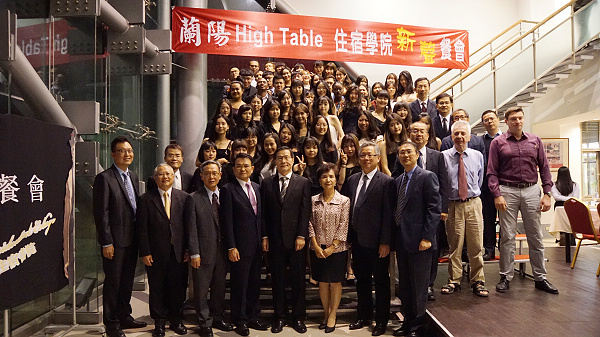 And the High Table Dinner concluded with a wonderful ending.